Smoking joints is the most popular way to consume marijuana. In this article we will teach you the steps how to toll the perfect joint! It’s the basis for every cannabis lover. In our webshop you will find filter tips to make the perfect joints: these are ready for use with a folding line for your weed. Make a fold on both sides of the central fold line to pre-fold the paper. This makes it easier to roll the joint later on. The filter keeps the end of your joint stable and ensures that small bits of the plant don’t stick to your tongue. To save you making a ticket every time you want to roll a joint, you can use a standard manila folder. This is made of cardboard with an optimum thickness for making joint filters. This saves you a lot of time that you would otherwise have lost in finding suitable cardboard. Simply cut the folders into pieces of the size of what you need. Now you can sprinkle your weed evenly over the middle line of your rolling paper: a full gram is enough. You have to leave some space for the filter at one end, and at the other side you have to leave some to roll. Are you right-handed? Then you can best place the filter on the right, and the other way around. Play gently with the herbs until it looks like it’s evenly distributed and lightly pressed, so that it can be brought into the perfect shape. The little hill should be wider than the filter, because it has to be compressed when you roll the joint in the next step. Hold the joint between your thumb and index finger without pinching it. Use the filter as a measure of the desired thickness, and roll gently and carefully, pressing the weed into the desired shape. Now you have to tuck in the edge, which could be tricky. 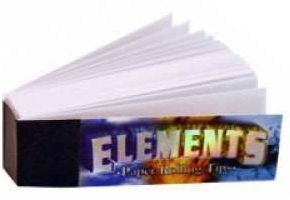 The paper is already bending inwards, and now you have to bring the edge in with the tips of your thumb, until the paper falls over itself. Lick the glued edge carefully with the tip of your tongue and press it into the desired place. The used glue only needs to be slightly moistened in order to stick well. Therefore it isn’t necessary to save your spit; touching along the edge is sufficient. Now you can fold the ends as a small present, so that it evenly burns. Light your joint and enjoy!